The company have caused some controversy online this week by advertising their ‘Iron girl’ 5k ‘Fun Run’ that will run alongside the Bolton Ironman Weekend in July. The ad states the run is open to women aged 16+ and is £10 to enter. 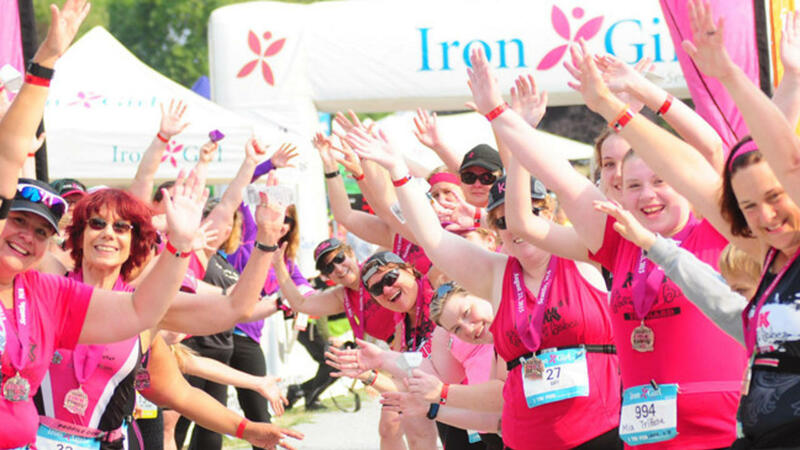 It’s only the second Iron girl event to be held in the UK; there seem to have been more events in the USA and Europe. So it is new to us Brits. The backlash online has been mostly from women irritated by the implication that women can’t run a full Ironman, that they aren’t being called ‘women’ and that the logo has a pink butterfly in it. Who’d have thought it was 2019? When will companies learn that to appeal to women you don’t need to have pink and pretty things all over your advertising? When will sporting event companies learn that women can be and are amazing athletes that compete against (and beat – see Jasmin Paris!) men perfectly happily and very successfully? In the 2018 Ironman World Championship only 28 percent of participants (685 athletes) were female. But they were still there. Ironman has become a title for any athlete that completes the challenge (even though it contains the word ‘man’) and many women use this proudly when talking about their achievement. And why shouldn’t they? Some women don’t mind be referred to as ‘girls’, but there are a lot of us who do. The word girl means ‘young, immature woman’ under the age of 18. Yes it’s thrown around by many women in a jovial sense; going out with ‘the girls’ etc., and that’s their right if they want to use it. But in the context of ‘Iron girl’, when you place it next to ‘Ironman’ comparatively it is infantilising and condescending. Women are powerful, strong and accomplished. We are not children. ‘Ironboy’ would never be a thing for men. Can you imagine? Along that same line, placing a women’s specific event the same weekend as the Ironman event and calling it a 5k ‘fun run’ does not look good. Comparatively, it implies that women are unable to compete in the ‘man’ event, so here is a ‘cutesy little fun run for all you girlies to do whilst the big men do the serious multi-disciplined race’. I’m sure this is not what Ironman events intended at all, and I am sure their goals were noble. But it does come across rather poorly thought out, especially since they know that women regularly compete in the bigger full triathlon. The logo is something I probably have the biggest problem with. Look at the Ironman logo; a shape of a person, taking the M from the name and adding a head. It’s clearly meant to imply it is a man, and not a skinny one either, which is problematic in itself I guess (athletes can be of various body shapes and types) but ok I get it’s a logo; it’s not going to be able to be inclusive. Now look at the Iron girl logo. A flower/butterfly. In pink. Haven’t we got past this yet? Such lazy design. They could have used the “I” from the name and made a woman out of it like the other logo, but no, they have to pink it and cutesy it because of course all grown athletic women looking for a 5k race are drawn to ones with pink and butterflies aren’t we. This isn’t just an issue with Iron Girl, there are other races and events targeted at women that seem to think if they slather it in pink and purple that makes it appeal. Well it may to some, but of all the outdoor women I know (and that’s a fair few) we like all colours and we are drawn to things that interest us. Ooh a 10k in the park I like. Ooh a triathlon in the Lake District. Ooh a women’s only event that looks cool. Oh wait it’s all pink themed… they don’t understand what I really want. I have an awful feeling it was a bunch of men that OK’d this design. I hate to think of any professional women agreeing this is a good avenue to go down. I have read a lot of comments covering the above thoughts, but I have also read a few comments from women who go to these events and I have to take their feelings into account. Some women are not bothered by the wording and using supposed feminine colours and that’s fine, but if we ever want things to change and women to stop being treated as inferior in sporting circles we need to call this stuff out. Don’t get me wrong – I am all for women’s only events. I regularly attend the Women’s Climbing Symposium and I love it, and I feel the need for women only events won’t go away for a long while. It’s great to spend time just with other women doing amazing things and there should be more of it. It’s hard for many women who suffer with anxiety or body issues to be around men in sporting atmospheres and women only events and gyms aid with that. It’s not that I have a problem with. It’s the language, implications when run alongside an Ironman triathlon, and the marketing. Lastly some women have commented that it’s helpful in getting women get into sport. Well great! I am all for this too. 5k is a long way to run if you’re not trained – I know this only too well having flirted with running in the past. Again though this isn’t the main issue most of us have with it; it’s not the distance, but the fact the distance is set as it’s just “for women” and alongside a race that has ‘man’ in the title… why can’t men race this too? 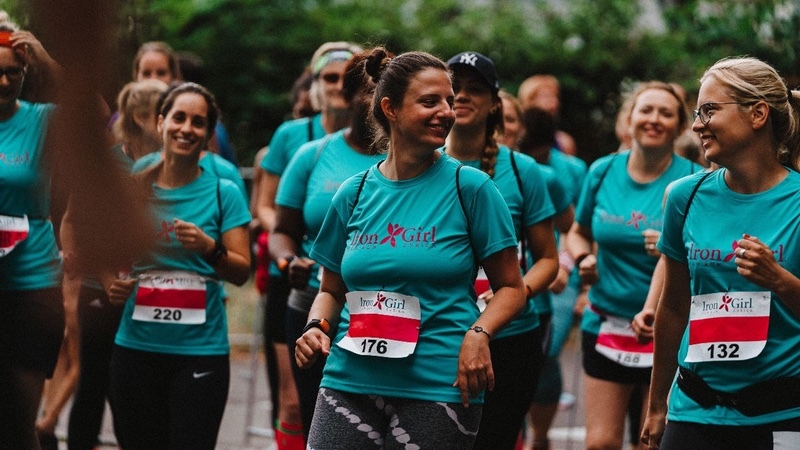 Why does it have to be marketed as a ‘fun run’ to try and make it more accessible to women? Personally I’d argue 5k is not a ‘fun’ distance - well, if you’re racing. (I was much more of an endurance runner than a speedy runner!!) The point I am trying to make is that why can’t they run another race alongside that is for everyone who wants to get involved in the weekend but can’t do a full Ironman? I was glad to see so many amazing women calling this out for the silliness that it is; we are not afraid to give our opinions and we are not going to stop anytime soon. Maybe next time ask women what they think before signing things like this off? Surely that’s the way forward.